You have been responsible for making so many big branded wines, from Kumala to Hardy’s, but this is the first wine brand with your name on it. Why and why now? It’s admittedly a bit weird having my own name on the label, but it’s more to do with the creative process. That’s what motivates me to get out of the bed in the morning. It’s not about winning medals. The world is crying out for authenticity. So with Bruce Jack wines I can honestly say this is me, these are my wines, let’s go and have some fun with them. I have given myself 20 years with this brand and really think we have realistic ambitions to change the way we talk about wine to the consumer. Well, before Top Gear no-one spoke to people about cars in the way that programme does. There is certainly no-one that talks about wine in that way. So part of the way we want to build the brand is to talk to our consumer base in different ways, so it could be making short YouTube videos and podcasts, but we want to go out and talk to our consumers about wine in the way they do. Hopefully with a personality driven wine brand there is an authenticity there that people can relate to and is relevant to them. What ambitions do you have for it? As big as we can make it. You only live once and the more you look around this industry and see how diversified and differentiated it is, you realise it is also so ripe for disruption, and to have a lot of fun providing you do things correctly. Are you able to use your experience and background with Accolade to source the wines you need? I am still consulting to Accolade and I am extremely proud of what I have done for Kumala and Flagstone and still rate those as pioneering South African brands. My big experience in wine has been in blending and to do that well you need to have a good network of contacts to get your grapes. The majority of the wines in the South African range are coming from the big bulk areas and I know where to go. We are also putting in a few percentage points of barrel fermented fruit into the blends. I am quite happy to say I am following the Concha y Toro model of using 33% of my fruit from my own vineyards, 33% from supplier vineyards and then 33% we can get on the spot market. I have a huge respect for what they do. But it’s all vineyard driven wine. Why is that model so effective? It gives you flexibility. So when it is a hard vintage you have got different options you can turn to. You can move your supply around. It is all about having that confidence in your supply chain so that you end up with consistent combinations and volumes of quality fruit. If you have that robust business model around you it allows you to be so much more effective. The brand is starting out with South African wine but is ‘Bruce Jack’ happy working anywhere in the world? That’s the key to this brand and how it can work in different markets. There is no point in me trying to sell Bruce Jack South African brands in the US as it is such a difficult market for South Africa to break into. So in the US it will be Bruce Jack wines from Chile. So we are also looking at Spain in 2019 and perhaps Australia in 2021. Wines from Chile and Australia will work so much better in China as well. I have a good back story with Australia as well having trained as a winemaker there and worked with Hardy’s for so long. The idea is to eventually build a global brand. 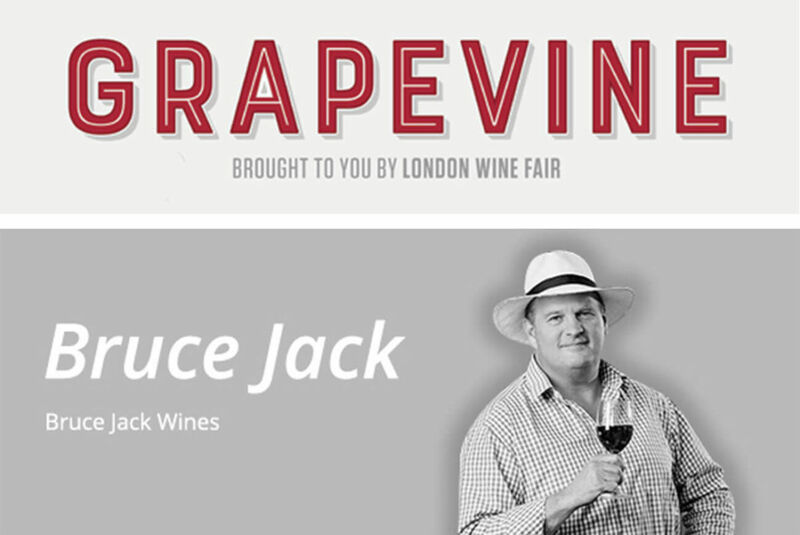 The Bruce Jack wine range is being officially launched in the UK in November and already has a listing with Sainsbury’s.